When you see an ad for Budweiser on TV, you know who paid for it and why it’s there. You also know it isn’t personal, because it’s brand advertising. But when you see an ad on a website, do you know what it’s doing there? Do you know if its there just for you, or if it’s for anybody? Hard to tell. However, if it’s an ad for a camera showingng up right after you visited some photography sites, it’s a pretty good guess you’re being tracked. It’s also likely you are among millions who are creeped out by the knowledge that they’re being tracked. On the whole, the tracking-driven online advertising business (aka “adtech”) assumes that you have given permission to be followed, at least implicitly. This is one reason tracking users and targeting them with personalized ads is more normative than ever online today. But there is also a growing concern that personal privacy lines are not only being crossed, but trampled. To get ahead of the regulatory steamroller, the ad business needs two things. One is transparency. There isn’t much today. (See Bringing Manners to Marketing at Customer Commons.) The other is permission. It can’t only be presumed. It has to be explicit. I picked those out of a character viewer. There are hundreds of these kinds of things. It really doesn’t matter what they are, so long as people can easily, after awhile, grok what they mean. Speaking of permission, now would be a good time to revisit Permission Marketing, which Seth Godin published in May 1999, about the same time The Cluetrain Manifesto also went up. Here’s how Seth compressed the book’s case nine years later. Real permission is what’s needed here. It’s what permission marketing has always been about. And it’s what VRM (Vendor Relationship Management) is about as well. Brand advertising is permitted in part because it’s not personal. Sometimes it is even liked.. The most common example of that is Super Bowl TV ads. But a better example is magazines made thick with brand ads that are as appealing to readers as the editorial content. Fashion magazines are a good example of that. Adtech right now is not in a demand market on the individual’s side. 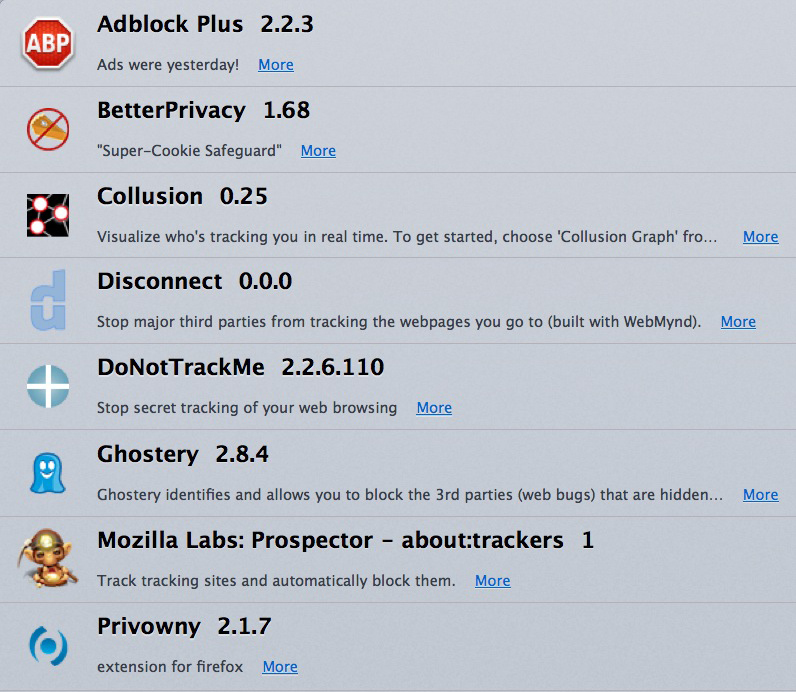 In fact, judging from the popularity of ad-blocking browser extensions, there is a lot of negative demand. According to ClarityRay, 9.23% of all ads were blocked by users surveyed a year ago. That number is surely much higher today. I invite everybody reading this to go there and jump in. Meanwhile, consider this one among many olive branches that need to be extended between targets — you and me — and the advertisers targeting us.